We have information you must know before you buy the 1500 Classic. 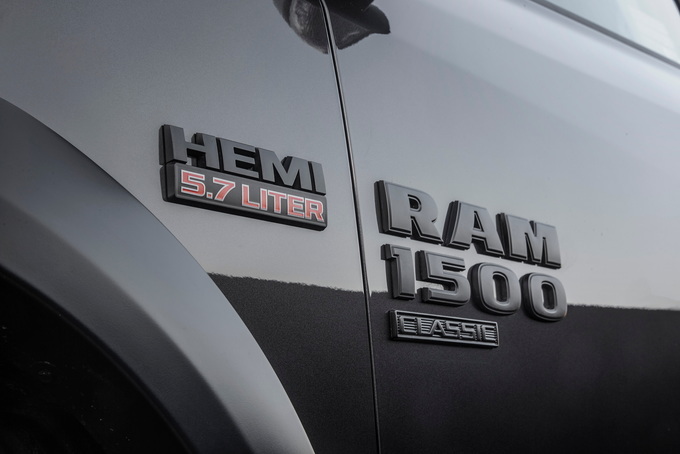 The 2019 RAM 1500 Classic is a continuation of the previous-generation 1500, which is all-new this year. The lineup has shrunk to five trims: Tradesman, Express, Lone Star, Big Horn, and Lone Star Silver. RAM says production of the 1500 Classic has been extended due to strong demand. However, we do not yet know if it will be offered beyond 2019. Dealer discounting is common. You can count on attractive savings even before factory incentives are applied. Current factory offers will remain in effect until April 30, 2019. Lease promotions listed here are available on a national basis, while rebates and APR offers can vary by region. The examples shown here are for California. 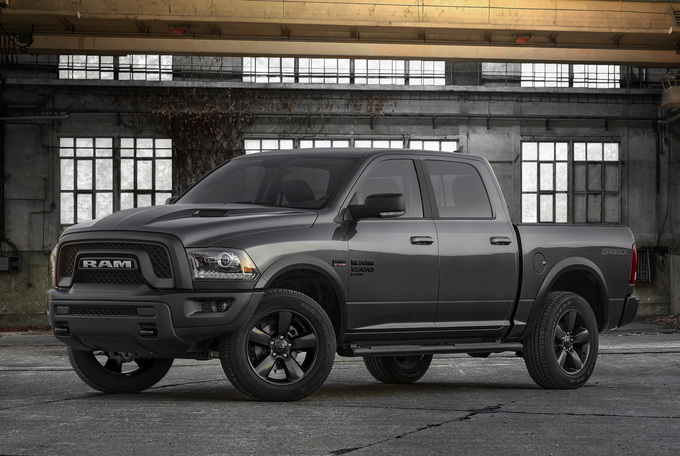 It's possible that RAM will enhance incentives for the upcoming Memorial Day holiday. The work-oriented Tradesman Crew Cab comes with a $6,250 rebate this month. The amount dips to $3,750 on the Regular Cab, and $3,000 on the Regular Cab. The Express Quad and Regular carry a $3,000 rebate, while Crew versions come with a $5,500 rebate. The amount on the Lone Star is $3,750. The rebate stands at $5,750 on the Big Horn Quad — and a whopping $7,250 on the Crew Cab version. The amount eases to $3,750 on the line-topping Lone Star Silver. These are very good rebates for this model. There are no national lease specials on the 2019 1500 Classic this month. We expect offers to return by summer. For now, see your dealer for a lease quote. 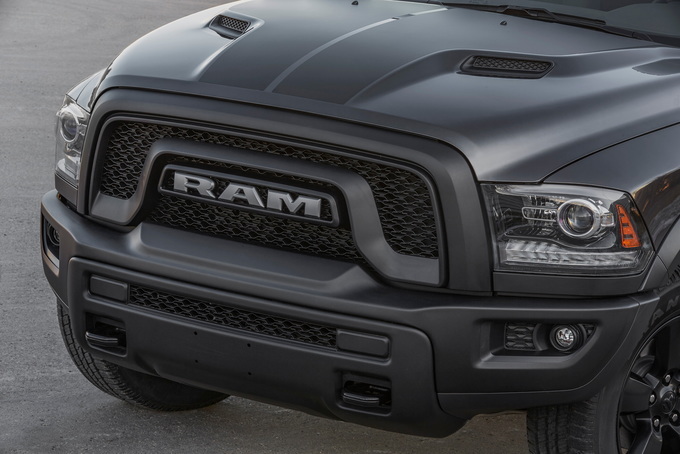 In place of the standard rebate, RAM continues to offer 0% financing for 36 months. The deal comes with $1,000 to $5,250 in bonus cash, depending on the configuration and trim level. The Big Horn carries the most cash by far. Longer terms are available at incrementally higher rates. Promotional APR Offer Promotional APR programs available for qualified buyers. Please check with your CarsDirect Trusted Dealer for complete details.%NotesManuf% %Eligibility% Residents residing in qualifying regions of the United States listed in the BUSINESS CENTER BOUNDARIES section. APR financing must go through Chrysler Capital. To qualify for all listed special APR rates through Ally Financial, customers must be considered S/A/B tier. Customers who are considered C tier will have an increased rate. Refer to the Ally tab for further rate and program details. %Qualification% Program compatibility is available in DealerCONNECT. This program is not compatible with the Customer Cash Allowance, Combo Cash and Combo APR programs. EligibilityResidents residing in qualifying regions of the United States listed in the BUSINESS CENTER BOUNDARIES section. APR financing must go through Chrysler Capital. To qualify for all listed special APR rates through Ally Financial, customers must be considered S/A/B tier. Customers who are considered C tier will have an increased rate. Refer to the Ally tab for further rate and program details. 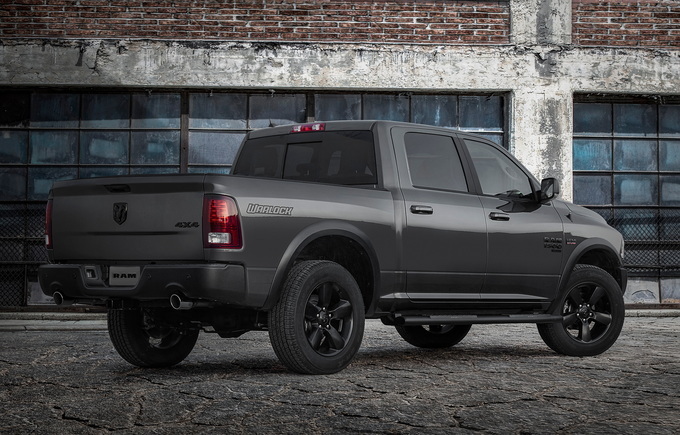 Ram has a new 1500 pickup truck, but the previous-generation model hasn’t gone away. Renamed the Ram 1500 Classic for 2019, this model targets entry-level and commercial buyers. If you’re fine with an older model that lacks some of the newer one's refinement and amenities, then the 1500 Classic may be the right choice for you. The Ram 1500 Classic is a carryover model. The 2019 Ram 1500 Classic is a full-size pickup truck. It's available in Regular, Quad, and Crew Cab configurations. Three bed lengths are available, depending on the chosen cab: 8-foot, 6-foot-4-inches, and 5-foot-7-inches. Customers have a choice of rear-wheel drive (4x2) or four-wheel drive (4x4). Ram offers two gas engine choices: a 3.6-liter V6 or a 5.7-liter V8. Both engine choices work with an eight-speed automatic transmission. 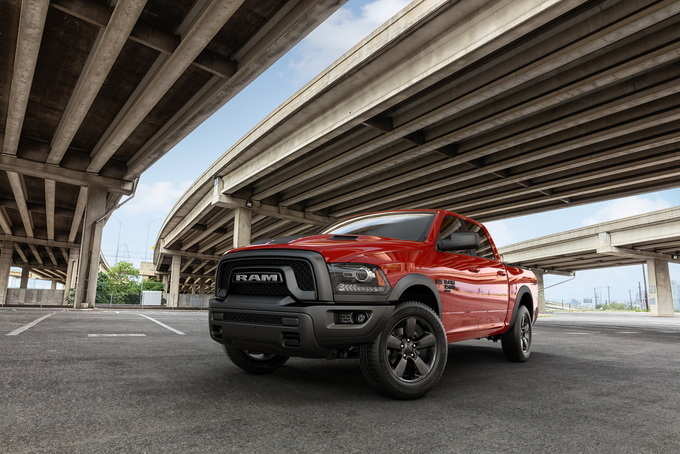 The 2019 Ram Classic 1500 comes in Tradesman, Express, and Big Horn trims. A Special Services Vehicle (SSV) model is available for commercial accounts. Standard features include quad-halogen headlights, heated side mirrors, 17-inch steel wheels, vinyl seats, air conditioning, and a six-speaker audio system. Ram offers multiple packages, depending on the trim. A Tradesman SXT Group ($2,895, brightwork trim, front fog lights, 20-inch aluminum chrome clad wheels, a 40/20/40-split cloth bench seat, and a UConnect system with a color display) kicks things off with the base model. On some models, you’ll find a RamBox Value Package ($2,945, RamBox cargo management system, spray-in bed liner, premium cloth bucket seats, power sunroof, and an 8.4-inch UConnect display). You’ll also find a Trailer-Tow Mirrors and Brake Group ($895, tow mirrors, receiver hitch, and trailer brake control), a Heated Seats and Wheel Group ($545, heated front seats and a heated steering wheel), and Black Appearance Group ($395, black-clad aluminum wheels and blacked out exterior embellishments). The Ram 1500 kicks things off with the Tradesman, which starts at $28,990 (all prices include the $1,695 destination fee) with the Regular Cab and 6-foot-4-inch bed. Like all models, this one comes standard with the 3.6-liter V6 engine with 305 horsepower and 269 pound-feet of torque and the eight-speed automatic transmission. The 5.7-liter V8 engine with 395 hp and 410 lb-ft of torque is available for $1,450, while four-wheel drive costs $4,600. This model has heavy-duty front and rear shock absorbers, a trailer hitch trailer with tow wiring, vinyl-covered bench seats, and a wide-angle rearview monitor. The middle-of-the-road Express starts at $30,490, representing a modest price increase. It also comes standard with the Regular Cab and 6-foot-4-inch box, and adds such features as 17-inch painted aluminum wheels and a body-color grille, front fascia, and rear bumper. Available packages include the Trailer-Tow Mirrors and Brake Group ($815), Power and Remote Entry Group ($735), Popular Equipment Group ($695), Express Black Accent Package ($395), and the Express Value Package ($2,395). At the top of the Ram 1500 Classic line is the Big Horn, which comes standard with the Quad Cab, 6-foot-4-inch bed, and 5.7-liter V8 engine. Costing $41,490, this model adds s a front and rear park assist system, an 8.4-inch touchscreen, a leather-wrapped steering wheel, and a seven-inch digital cluster display. The middle child of the 2019 Ram 1500 Classic lineup, the Express, offers the best value proposition. This model includes nicer wheels, styling, and interior touches for just $1,500 more than the base model. A trio of terrific engines. The base engine for the 2019 Ram 1500 Classic is a 3.6-liter Pentastar V6 that produces 305 horsepower and 269 pound-feet of torque. The next engine is a 5.7-liter HEMI V8 that generates 395 hp and 410 lb-ft of torque. Lastly, there's a 3.0-liter EcoDiesel V6 that's good for 240 hp and 420 lb-ft of torque coming in the first quarter of 2019. The engines may be getting old, but they're refined, powerful, and quiet. The V8 motor makes a sound that resembles a muscle car when pushed. The eight-speed automatic transmission is smooth and efficient, capable of finding the engine's sweet spot in little time. Modest towing and payload capacity. While towing and payload capacity should be more than enough for the majority of consumers, the 1500 Classic lags behind the Ford F-150 and the Chevrolet Silverado 1500. When properly equipped, the 1500 Classic can tow up to 10,760 pounds and has a max payload capacity of 1,880 pounds. The F-150 can tow up to 13,200 pounds and has a maximum payload capacity of 3,270 pounds. The Silverado 1500 is rated to tow up to 12,200 pounds and has a payload capacity of 2,500 pounds. However, the carryover Chevy Silverado 1500 LD can only tow up to 9,400 pounds, so the Ram has the edge there. A comfortable cabin. Pickup trucks aren't known for being comfortable machines for long hauls, but the 1500 Classic's range-topping Big Horn trim comes with some high-end features that make long drives more enjoyable. Standard equipment includes dual-zone automatic climate control, an auto-dimming rearview mirror, a power 10-way driver's seat, an 8.4-inch touchscreen, Apple CarPlay and Android Auto, a six-speaker audio system, a leather-wrapped steering wheel, and a universal garage door opener. Decent fuel economy. If you opt for the diesel motor, the 1500 Classic is one of the more fuel-efficient full-size pickups on the market. Last year, the engine was rated by the EPA to get up to 23 miles per gallon combined. That's only slightly behind the Ford F-150's 3.0-liter turbodiesel six-cylinder engine (25 mpg combined), and better than the Chevrolet Silverado's 2.7-liter turbocharged four-cylinder (21 mpg combined). Final thoughts. With the introduction of the all-new 2019 Ram 1500, the 2019 Ram 1500 Classic is outclassed by its newer counterpart. If you're on a budget, though, the 1500 Classic is a great option, offering you a great lineup of engines, a comfortable cabin, and decent fuel economy. With newer, stronger options on the road, the 1500 Classic can't compete with competitors – or even the new Ram 1500 – when it comes to towing and payload capacity. But the pickup truck is still immensely capable. 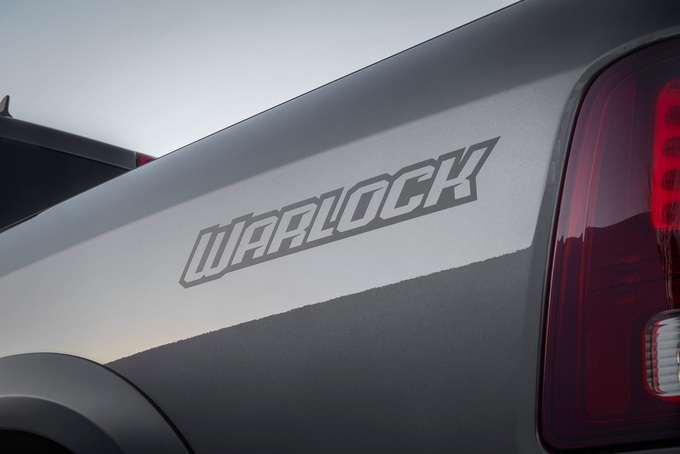 If Ram would increase the amount of advanced safety features on the truck, it would be a better value proposition. All of the 1500 Classic's competitors are newer, more advanced, and more capable. The new Ram 1500 is probably the 1500 Classic's largest competitor, and it comes with more technology, a nicer interior, and efficient hybrid powertrains. Even with that in mind, buyers on a budget will find a lot to like with the pickup. We have partnered with trusted dealers in your area to give you a great price on the new RAM 1500 Classic.